For the last few weeks I have been giving my thoughts on the idea of game/series management, or the challenges of designing to an existing game property (You can find the previous parts here: Part 1 and Part 2) We started by talking about some of the requirements for good game management, and then last week we talked about some common game management mistakes. Today will be the last part of this series, and we will be talking about Legend Of Zelda: Breath of the Wild, and how it tackles series management. Before we begin, I want to make a confession- I have not yet finished this game. I pre-ordered it and have been playing it since the day it came out, but my game time has been pretty limited lately, and this game has a huge amount of content. When I started this series I assumed I would be done by now, but unfortunately that hasn’t come true. That being said, I have played enough that I feel confident enough to give my thoughts, and hopefully I am not missing anything major. Finally, I will try to avoid giving away any major surprises but this article will most likely contain spoilers. If you haven’t yet begun to play this game and want to go into it blind, I would recommend waiting to read this article. With all of that out of the way, lets get into it! In the last few weeks I have laid out some criteria for what I think makes for good game management, so lets go through those criteria and see how Breath of the Wild fares. Breath of the Wild certainly succeeds in this area. I have played nearly every Legend of Zelda game that has been made and, aside from Adventure of Link I don’t think there has yet been a Zelda title that changes the formula so much. This game borrows a lot from Bethesda style open world games such as item carry restrictions, using food to recover health, weapon durability, quest menus, etc. All of these additions come together to make a Legend of Zelda title that feels unlike any that have come before. For the first few hours of playing this game, I must admit that I was worried that Breath of the Wild would fail in this area. Much of the early part of the game is completely focused around exploration and survival, and it was quite a while before I encountered tradition Zelda dungeon crawling and puzzle-solving gameplay. However, as the game went on it became clear that this was in fact a Legend of Zelda game, and not just a Skyrim clone with a beautiful Nintendo skin. In a way, this game actually takes the series back to it’s roots – the original Legend of Zelda is arguably the first open world game, and had a huge focus on exploration. However, as the series has grown and changed throughout the years it has moved more away from that style to a more linear, dungeon focused series. Breath of the Wild is much more like the original – you can do any of the dungeons in any order, and the world is completely open, with secrets around every corner. 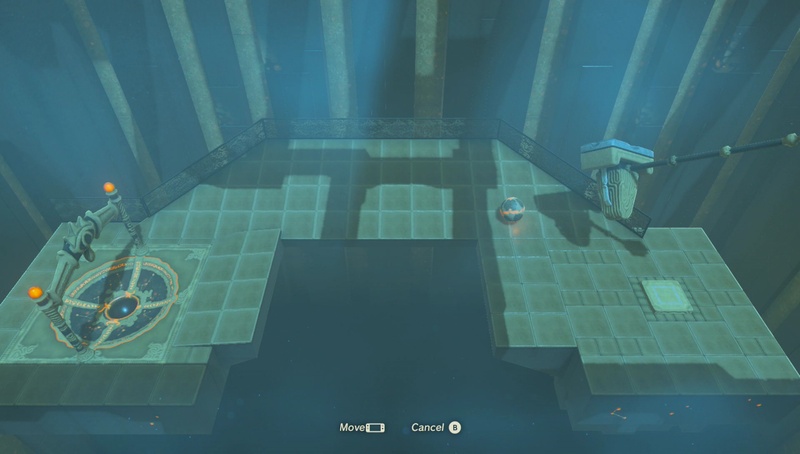 This is not to say that it didn’t borrow anything from modern Zelda games though – not only does it follow a traditional Zelda style narrative, but it does have it’s fair share of dungeons and puzzles, including some of the most innovative and challenging puzzles in any Zelda game to date. So when I move left, it moves….what?! I believe that Breath of the Wild passes this goal with flying colors. If you took away any references to previous Zelda titles and made Breath of the Wild a stand-alone title in a new series, I believe that it would still be incredibly fun and wildly successful. In my opinion, Breath of the Wild has all of the hallmarks of superb game management. This does not mean, however, that it doesn’t have any flaws. Firstly, I am not the biggest fan of the durability mechanic for weapons. Its not that I have an issue with this mechanic in theory, but I believe that the timeline of durability is much too short (I have often had weapons that shatter in only 5-10 swings), and most games that include these types of mechanics have an option to repair weapons to restore durability, which up to this point in the game I have not noticed. In fact, I was extremely relieved when I found the Master Sword because I assumed that it would finally be the invincible sword that I wanted, only to be told that it too is in danger of being damaged and needing to repair over time. 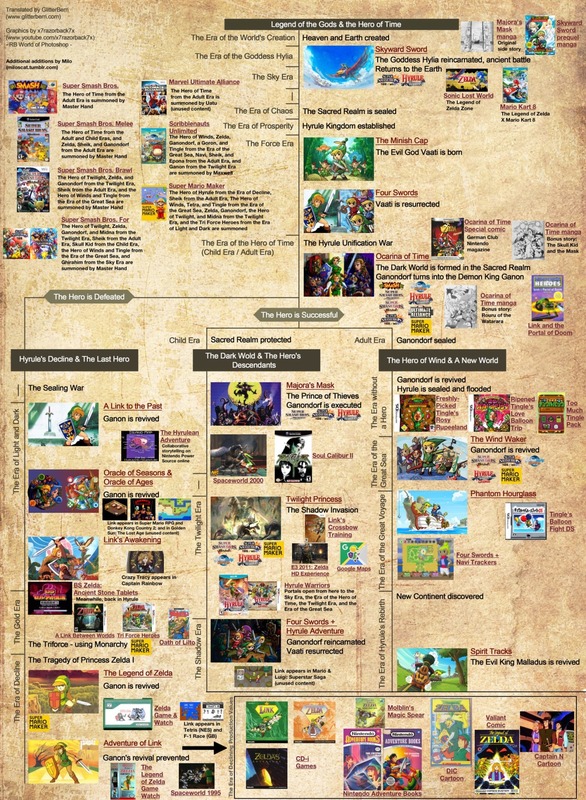 In addition, one of the biggest discussions with the Legend of Zelda series in general is the timeline. In my previous article I talked about how a series can get too lost in it’s own lore, but Zelda seems to have the opposite problem. Players just can’t seem to help wanting to connect these different games and figuring out where things go, but Nintendo seems to want no part of this. Not only is their official timeline extremely confusing (and, in my opinion, flawed), but they seem to almost go out of their way to make creating a timeline more difficult. In Breath of the Wild, we are told that this game takes place 10,000 years after the original defeat of Ganon. This is a huge span of time, which does a lot to obscure the timeline, but so does the fact that it has references to Wind Waker AND Twilight Princess, which are supposed to take place in different timelines? Both of which, by the way, are supposed to have Ganon already dead? Well when you put it that way…. That all being said, I think that Breath of the Wild is not only a well made game, but a great addition to the Legend of Zelda series. And that’s all for this week! Sorry about the late post, and I will try to get back on my regular Thursday posting schedule. Next week, I will be taking some time to talk about Pokemon Go, both where I think they went wrong and what I think they could do to fix it. Until then, may your Pokeballs be plenty, and your Dragonites never flee! See you next week! Previous articleGame DesignBreath of the Wild and Good Game Management Pt 2. Next articleMobile GamesPokemon Go: Where did it Go wrong?